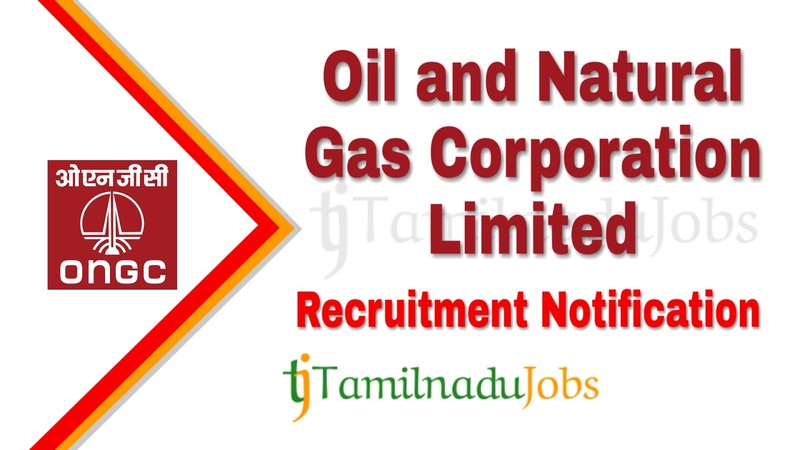 ONGC Recruitment 2019: Good news for the Aspirants looking for Central Government jobs, now Oil and Natural Gas Corporation (ONGC) published an official notification for 86 post to fill the Assistant Technician, Junior Assistant and Various , work in Chennai, Tamil Nadu. Candidates must go through the official ONGC recruitment notification thoroughly before apply for Assistant Technician, Junior Assistant and Various post. ONGC Class III and IV job application is collected through Online mode only. In the recent Recruitment Notification, the following vacancy details given by the Oil and Natural Gas Corporation (ONGC) and aspirants should go through the vacancy details and eligibility details for more detail in ONGC notification link given below before applying. Aspirants meet the education qualification of Oil and Natural Gas Corporation (ONGC) only apply for the Assistant Technician, Junior Assistant and Various job. ONGC notification 2019, education qualification are given below. Assistant Technician (Instrumentation) Diploma in Instrumentation Engineering. Assistant Technician (Mechanical) Diploma in Mechanical Engineering. Assistant Technician (Electronics) Diploma in Electronics or Telecom. or E&T Engineering or MSc. In Physics with Electronics. Assistant Technician (Civil) Diploma in Civil Engineering. Junior Assistant Technician (Cementing) Matric with Science and Trade certificate in Auto or Fitting or Diesel or Instrumentation or Turner or Machining or Tractor or Motor vehicle or Welding or Black smithy or Boiler Attendant or Machinist Grinder Trades. Should have valid Heavy Vehicle Driving Licence. Junior Assistant (Accounts) B.Com with proficiency in typing 30 w.p.m and Certificate or Diploma of Minimum duration of six months in Computer Applications in the office environment. Tests apply. Junior Assistant (Personnel & Administration) Graduate with Typing speed 30 w.p.m. Certificate or Diploma of minimum duration of six months in Computer Applications in the office environment. Junior Motor Vehicle Driver (Heavy Vehicle) Matric with valid driving licence for Heavy Vehicle and 3 years driving experience of Heavy Vehicles. Junior Motor Vehicle Driver (Winch Operations) Matric with valid driving licence for Heavy Vehicle and 3 years driving experience of Heavy Vehicles. Junior Assistant Technician (Fitting) Matric with Science and Trade certificate in Fitting. Junior Assistant (Materials Management) BSc with Physics or Maths as one of the subjects with proficiency in typing 30 w.p.m with Certificate or Diploma of Minimum duration of six month in Computer Applications in the office environment. Junior Assistant Technician (Electrical) Matric with Science and Trade certificate in Electrical trade. Should have valid Certificate of Competency as Electrical Supervisor. Junior Assistant Technician (Welding) Matric with Science and Trade Certificate in Welding. Junior Assistant (Official Language) Graduate in Hindi with English as one of the subjects. Typing speed 30 w.p.m in Hindi. And Certificate/Diploma of minimum duration of six months in Computer Applications (including Hindi) in the office environment. Aspirants who want to apply for ONGC Class III and IV 2019, must attain the following age limits given by Oil and Natural Gas Corporation (ONGC). The application fees for Oil and Natural Gas Corporation (ONGC) Assistant Technician, Junior Assistant and Various 2019 differ according to various categories. The application fees details for ONGC Class III and IV given below. 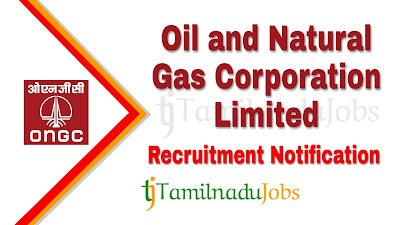 Oil and Natural Gas Corporation (ONGC) is announced the recruitment for the Assistant Technician, Junior Assistant and Various to full fill their 86 posts. Aspirants have to pass the following selection process given by Oil and Natural Gas Corporation (ONGC) to get Assistant Technician, Junior Assistant and Various job. For more detail and correct information check in the official notification of ONGC. How to Apply ONGC Class III and IV 2019? Step 3: Fill the details required by ONGC in the form. Step 5: Before submitting the application for Assistant Technician, Junior Assistant and Various , check the details are correct, then press submit and pay the application fee.